Captain America (Chris Evans), along with his companions Black Widow (Scarlett Johansson), Nick Fury (Samuel L Jackson), and newcomer The Falcon (Anthony Mackie), are back to save America and the world from a new threat in the form of a Russian agent called The Winter Soldier (Sebastian Stan). Let mayhem commence. I admit to feeling a bit of a cheat when writing reviews or conference reports for the latest superhero film, of which there seems an never-ending stream. Or perhaps not so much a cheat as an imposter. The truth is that I don’t really get superhero movies. It’s not so much that I don’t like them. In fact I love them on a purely superficial level. I enjoy sitting for two hours plus watching beautiful women and buffed guys in bizarre skintight costumes fighting off an endless array of dastardly villains, whilst cavorting round far away locations and saving the world from imminent annihilation. It’s great fun to see just how many cityscapes and land masses the heroes and their adversaries can destroy this time, whilst supposedly making earth a safer place for us mere mortals. However the disappointing truth is that I frequently walk away from the said films feeling ‘well, I enjoyed that, but I wouldn’t necessarily want to sit through it again’. Which brings us to Captain America: The Winter Soldier, directed by wonder siblings Anthony and Joe Russo, is the perfect example of what I mean. I really enjoyed the first film, Captain America: The First Avenger (2011). Don’t ask me what happened in it, but I do remember thinking at the time that it was much more fun than the other big budget adventures based on animal and insect inspired do-gooders. Maybe it was the fact that you had the feeling that everyone could achieve this guys superpowers with a little hard work and dedication: on the face of it he simply appears to be very strong, very fast and extremely agile – most of which you could achieve with regular visits to your local gym. Forget that he is also part of the wider band of Marvel warriors – in jokes and cross character references abound through all the films including the Captain America ones. Or that there is plenty of ‘character development’ as well as ‘deep meanings’, and respectful ‘nods’ to the wider history of the comic-world on which these films are based. I’d love to wax lyrical and say something deep about the film. However all you can really do with something like this is sit back and let the whole experience wash over you in a huge wave of high octane, and mind numbing, celluloid kitsch. 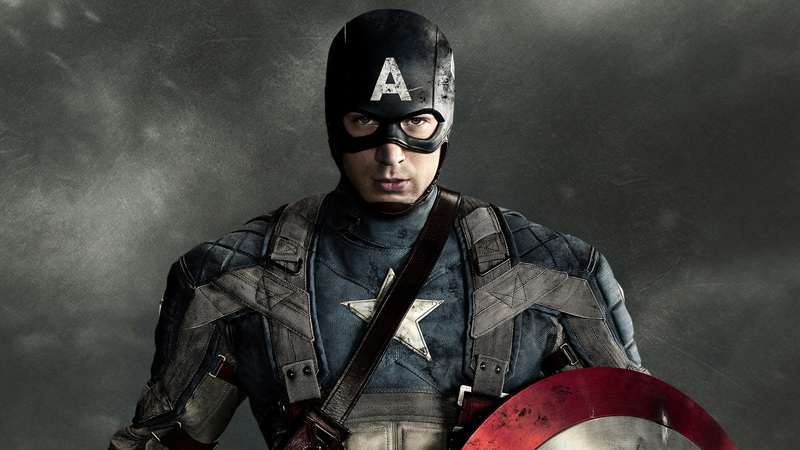 If you analyse films like Captain America: The Winter Soldier there is really very little there. The filmmakers, cast and fans will try and tell you that there is depth to these films, that they carry subtle and meaningful messages about society and the world around us. In truth though they are aimed at providing one thing and one thing only – fun. As a result your wasting your time trying to read too much into them. I could well get into trouble for being so demeaning of what many people seemingly take very seriously indeed. But believe me when I say that I wouldn’t for a moment want to belittle what is after-all harmless fun. But neither will it change my opinion (or continued enjoyment) of watching them in the way I think all these type of films should be watched – swiftly. Before putting them out of your mind and moving quickly on to something else.